A timber very much in fashion, we are pleased to offer an extensive range of oak exterior doors. From designer looks with sleek, modern lines to beautifully crafted elegance with period raised mouldings, there really is a style for everyone. This range includes Part-L Compliant models. All of our oak external doors are unfinished and 44mm thick. Take a look at the full range here. 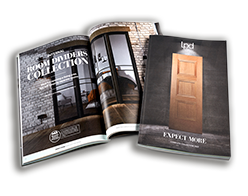 LPD’s external oak door designs vary from traditional, opulent designs to sleek, contemporary ones. Not only do they keep your house secure, they also enhance the exterior of your home. Some of our oak external doors are Part-L Compliant.